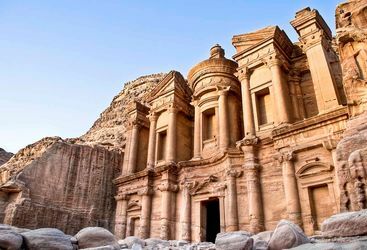 For a small country, Jordan packs an impressive punch in terms of history, culture and scenery, and the proximity of its key sights makes a tailor-made holiday to Jordan ideal for the time-pressed traveller. 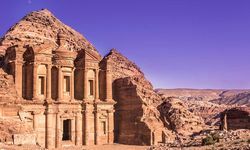 Several of the Original Travel team have explored Jordan, and foremost among the many, many memorable sites are Petra, the fabled 'rose-red city half as old as time' and the inspiring desert landscapes of Wadi Rum. 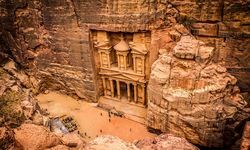 The two thousand-year-old Nabataean city of Petra, which grew rich at the crossroads of ancient trade routes, must rank as one of the world's most impressive archaeological sites. Entering via a narrow, high-walled ravine, the city whose name simply means 'rock' is revealed, hewn into the sandstone hills. Top tip? When you arrive at Petra in the morning, head straight to the Monastery - a long walk, but worth it as you will have the whole place to yourself. 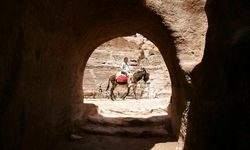 Then make your way back through Petra during the day. 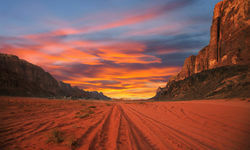 Not far to the south, the wind-sculpted mountains and canyons of Wadi Rum rise from the desert floor. 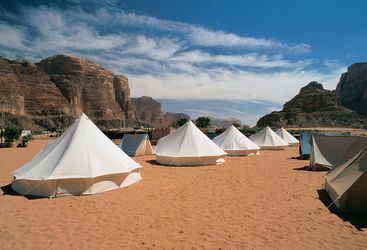 Explore this extraordinary environment and its bizarre rock formations, and then spend the night in the atmospheric surroundings of a private Bedouin camp exclusively run for Original Travel, knowing that Lawrence of Arabia and the Arab militia had their base here during the Great War. 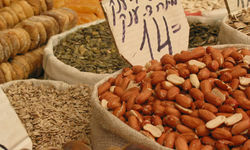 Heading back north along the King's Highway takes you via Madaba - home to the remarkable two-million-piece, 6th century mosaic map of the Holy Land, and Mount Nebo, from where Moses first viewed the Promised Land. 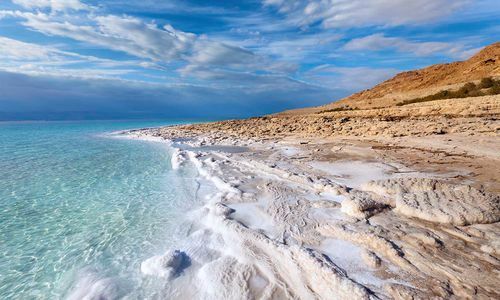 Next stop, the Dead Sea and the chance to experience the peculiar sensation of floating on the surface thanks to the extreme salinity in this, the lowest point on Earth. 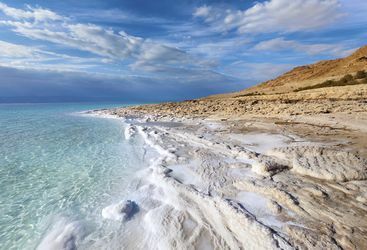 It's also possible to enjoy spa treatments using the sea's mineral-rich mud in one of the excellent Dead Sea hotels. 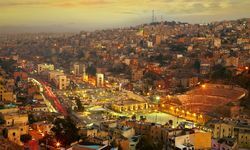 Finally, many people view Amman as somewhere to pass through on the way to more interesting sites. 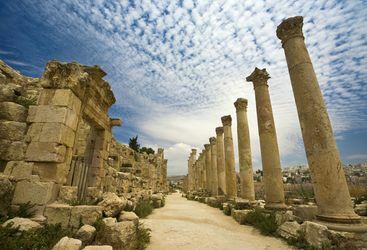 True, the capital cannot hold a torch to Petra or Wadi Rum, but the Roman (amphi)theatre is well worth a look, and this is the place from which to reach another Roman wonder - Jerash - to the north. My highlight: Exploring the lesser known Crusader castle of Shobak, perched precariously on a mountain-side, was probably my highlight. 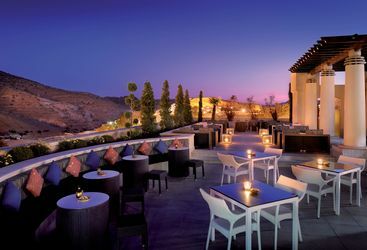 Prices vary: week long group visits (of 8-10) including flights, meals and accommodation in four or five star hotels would cost around £2,000 per person. However, two people travelling business class, staying in five-star hotels (half board), accompanied by a guide and driver and including all site visits could pay up to £8,000 per person for a 10-day trip. 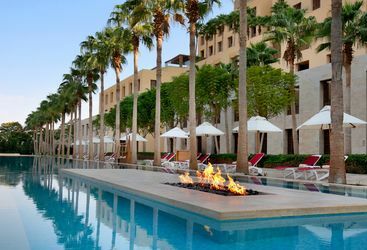 "Everything was beautifully organised the Four Seasons, Amman was perfect and exactly what you would expect, Wadi Rum Private Camp was totally wonderful, Petra was almost too much to tell you but the Movenpick Hotel was probably one of the best that we have EVER stayed in. 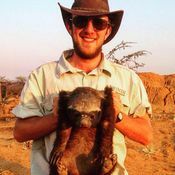 Thank you very much indeed for being so good at what you do, we had a superb holiday." I just wanted to say we had an amazing trip to Jordan. We are so happy with the service we received from Original Travel that we are now looking at planning our next trip and would like to see what you can offer us! It was a truly memorable trip and we both really enjoyed it, your organisation and management of all the arrangements were superb. Thank you a million times for the marvellous trip you organised for us. 42 Boodles take quite a bit management and you did it with skill, care and charm. It really was a marvellous holiday: we saw so much and so many beautiful things and managed to have fun as well - largely thanks to you. Please convey message of thanks to Daniel as well as he couldn't have been nicer and more helpful. 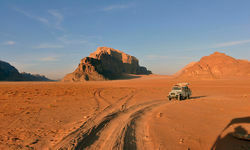 A brief line to tell you how much Davinia and I enjoyed your beautifully managed journey to Jordan and Syria. It must have been pretty complicated to set it up so efficiently…and you succeeded most excellently. Your kindness and care for the ancient Boodles, particularly me, was enormously appreciated and we all thought you were gorgeous!" Thank you for your care, kindness, judgement, balance and efficiency in handling - arranging - controlling 40 Boodles persons for the last 12 days! Fascinating - fulfilling - beautiful - rather like you! Well done. I want to express my HUGE appreciation and thanks to you for all your massive contribution to making the Boodles Abroad trip to Jordan and Syria such a success. 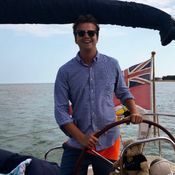 The feedback has been very very positive and everybody clearly enjoyed the experience…we really couldn't have survived without you…and you did it all in great good humour and without ever showing what a stressful experience it must have been at times. So thank you, thank you for everything you did to make everything go so smoothly. Miranda and I thoroughly enjoyed the trip. Thank you very much indeed for all your splendid efforts to add fun and your good shepherd act, and the jokes! How you and delightful Daniel coped cat herding was remarkable. Please give him our thanks too. What a pity modern architects can't balance rock piles like the Romans! You did brilliantly putting it all together in 3 or 4 days.